08.00 – 08.30 : Pick up time from Hotel to Park Hopper and Pier. 08.30 – 08.45 : Arrive at Port Island Hopper for tour information. 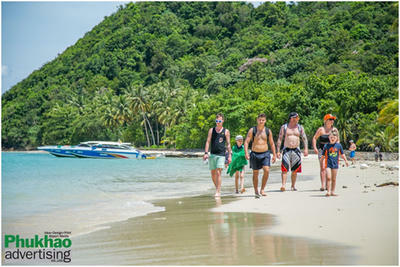 08.45 – 11.00 : Arrive at Khai Nai Island , for the greatest swimming and relax on the beach . 11.00 – 12.00 : Arrive at Koh Yao for learning the life style of local people. 13.00 – 14.00 : Relax , swim and free activities as self paddle canoe. 14.00 – 15.00 : Arrive at Khai Nui Island, enjoy the greatest snorkeling. 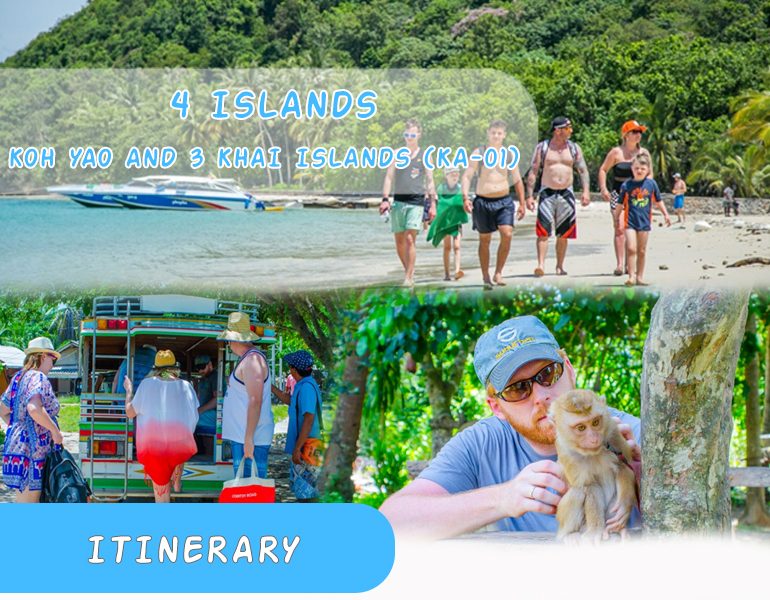 15.00 – 16.30 : Arrive at Khai Nok Island for snorkeling and swimming. 16.30 – 17.30 : 15 minutes to Park Hopper And Pier and back to the hotel. - Land transfer from-to hotel & Park Hopper and Pier . - Welcome drink : Coffee, tea and drinking water at Park Hopper and Pier. - soft drinks, drinking water, fruits & snacks and Thai style lunch. - Life Jacket, masks & Snorkelling and flippers.